Born in Etrepagny on January 26, 1861, Louis Anquetin was considered the greatest artist of the 19th century. He had a massive influence on the artists of his generation. In Paris, Anquetin was a member of an artist group including stalwarts such as Emile Bernard, Vincent van Gough, Henri de Toulouse-Lautrec, Paul Gauguin and George Seurat. He never stuck with any style and experimented with various styles all through his career. This may be because of his restless spirit and creative nature. Later, Anquetin was out of the art scene and when he died, he was almost forgotten. But in the recent years, a lot of people have been fascinated by the works of this brilliant artist, particularly his painting of the “Woman at the Champs-Elysees by Night,” which is a subject he worked on in Rome. Louis was the only son of Rose-Felicite Chauvet and George Anquetin, a rich butcher. Since he was the only child of a wealthy family, Louis was pampered. He was encouraged by his parents to take up drawing and he immediately got interested in it. In the year 1872, he started to study at Lycee Pierre Corneille from where he graduated. At school, he became friends with Edouard Djuardin, who later became a popular poet. Subsequently, he joined the military service in Chartres. When he returned from service in 1882, Louis decided to pursue a career in arts so he moved to Paris. He joined Leon Bonnat’s studio where he met Henri de Toulouse-Lautrec. A year after that, Louis and Henri entered the workshop of Fernand Cormon, a renowned painter. Louis was a really promising student that Cormon regarded him as his successor. His art career began in the shadow of Vincent Van Gough, a legendary innovative artist. He worked with Bernard in 1884, and then discovered Impressionism when he was introduced to Claude Monet the next year. This art movement helped him to discover the range of his painting. 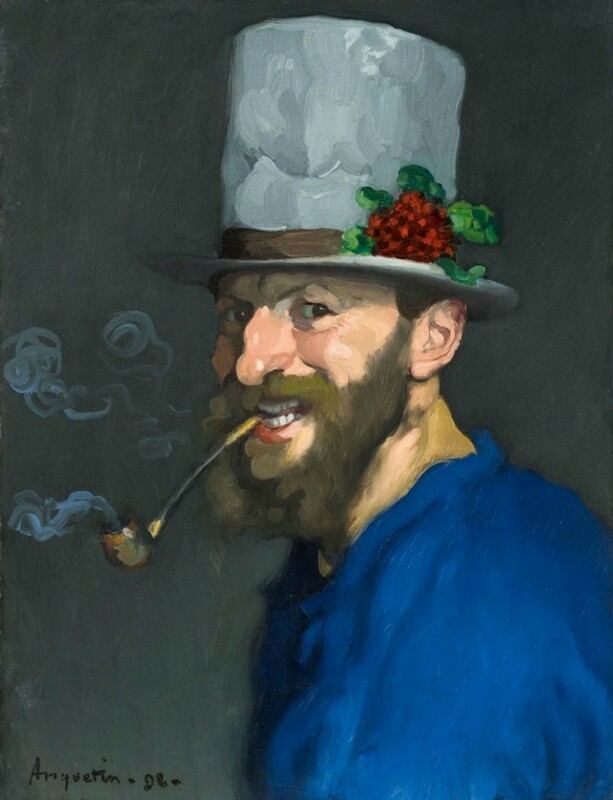 Nevertheless, Louis later sought to go beyond Impressionism and invent a modern art style. Anquetin started painting in the style of Divisionism with Bernard. Then, he adopted another style known as Cloisonnism, inspired by the Japanese stained glass windows and woodblock printings. It was named by Edouard Dujardin and was also influenced by the Japanese prints of Van Gough. One of the works of Louis, “Le Faucher” is painted in the Cloissonist style. 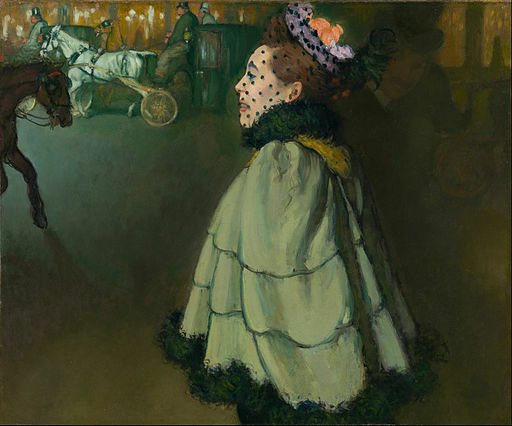 They inspired the famous works of Van Gough called “Café Terrace at Night” and “Les Moissons.” In 1887, another art “At the Circus” influenced the work of Toulouse-Lautrec in 1888 called ”At the Circus Fernando.” Other prominent artists such as Picasso and Gauguin were also influenced by Louis. Louis went to Holland and Belgium in 1894, and saw the artworks of Peter Paul Rubens, Franz Hals and Rembrandt van Rijn. He noticed that their paintings were brilliant and fluid, while his own artworks looked laborious and opaque. Louis discussed it with Auguste Renoir. Both of them agreed that something was missing in their materials. As a result, the subsequent works of Louis got better and more classical. Louis married Berthe Coquinot in 1906.They lived in in an impressively beautiful home in Vine Street. He began sharing his painting techniques with lots of students and provided lectures about it at the People’s University. He guided his students Camille Versini and Jacques Maroger when they conducted a research about painting techniques. In 1924, his book entitled ”Rubens” was published. Louis Anquetin died in 1932. By that time, this great artist was nearly forgotten. Several months prior to his death, Bernard made a portrait of Anquetin as a token of admiration.